Most Pacific theater World War II battles that have repeatedly drawn the interest of American military historians and writers have involved hard-fought victories or became turning points in the war, i.e., the battles of Guadalcanal, Midway, and Iwo Jima. With the exception of the Battle of Wake Island, few, if any, battles have been the subject of popular discourse when their inevitable outcome was defeat. The Battle of Bataan is a case in point. Individual battles were won on Bataan, of course, but the campaign would be mostly remembered as a series of prolonged, torturous conflicts that could be classified as nothing more than single victories in a lost cause. Fought with obsolete and discarded World War I equipment by an army made up of mostly untrained Filipinos, the Battle of Bataan has truly become the 'forgotten battle' of World War II despite the fact that it represents the single largest surrender in American and Filipino military history. This book seeks to fill a gap by providing a complete history of the battle by also looking at the events which led up to the fall of Bataan. It begins with an overview of the Philippine, American, and Japanese forces which fought on Bataan, followed by chapters looking at the military buildup, the counterattack in the II Corps and the withdrawal from Abucay, the Japanese invasion, the Battle for the Points, the Battle of the Pockets, and, finally, the surrender and the death march. 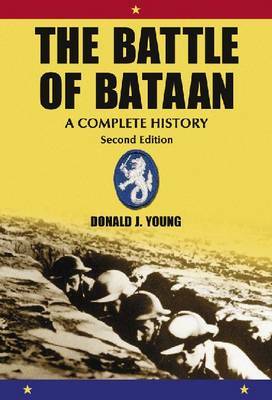 The book contains dozens of period and modern photographs taken at Bataan, along with several maps. Also included throughout the work are several poems of Lieutenant Henry G. Lee, a member of the U.S. 31st Infantry on Bataan whose impressive and sensitive poetry was found buried at the Cabanatuan POW camp in 1945.